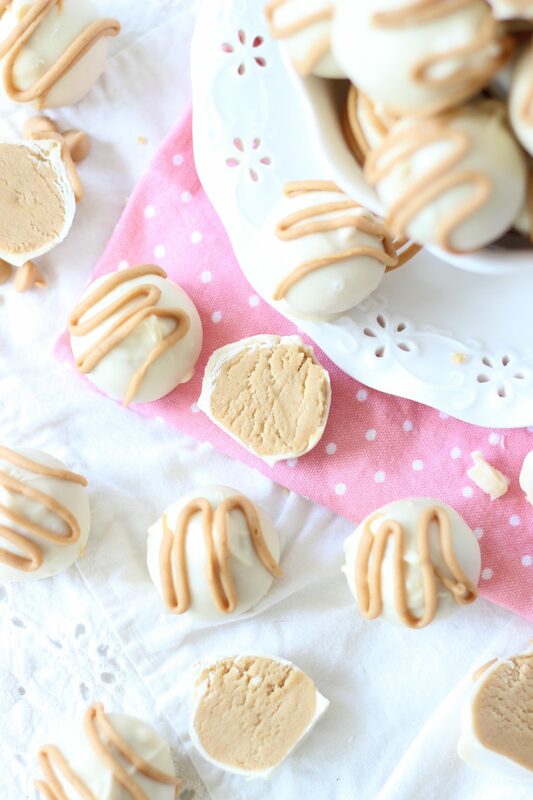 These White Chocolate Buckeyes are a small spin on traditional peanut butter Buckeyes. 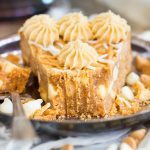 They’re dunked in a white chocolate bath, and topped with a peanut butter drizzle! 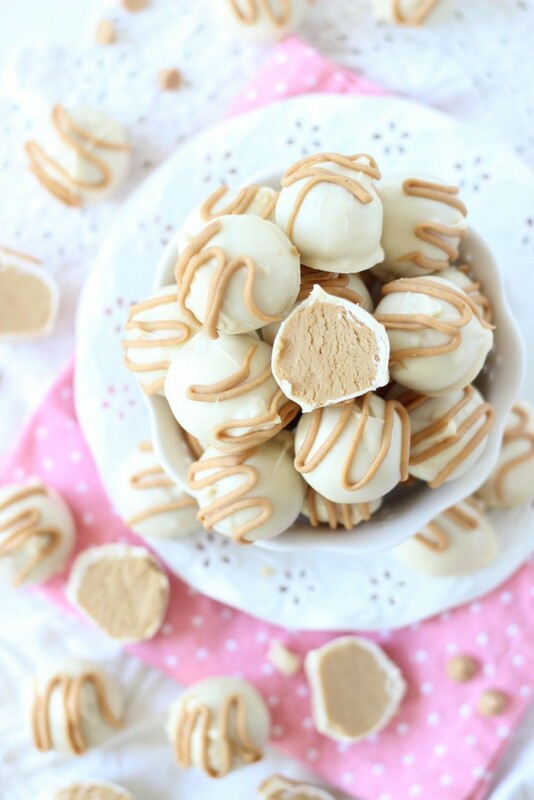 White chocolate and peanut butter together are the BEST combo, and these White Chocolate Buckeyes totally deliver on that! 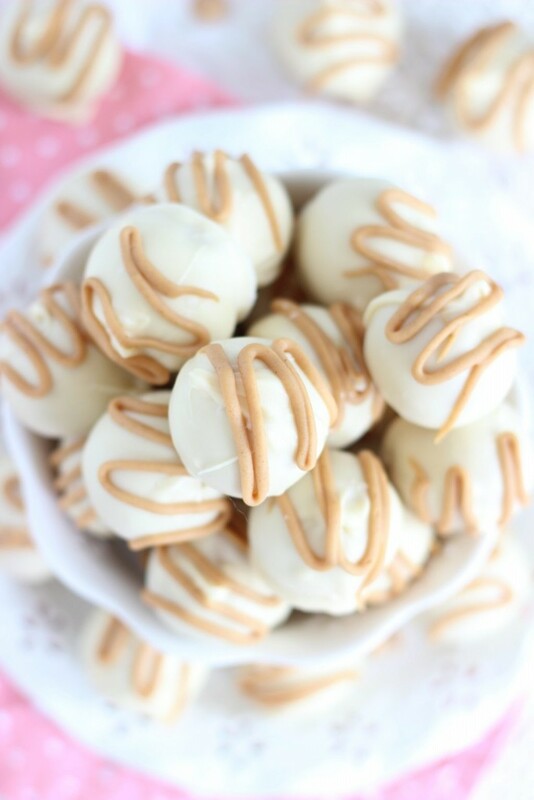 These White Chocolate Buckeyes are one of my most popular recipes these days! People go nuts for these, and with good reason. I have so many memories of making traditional Buckeyes growing up. As a little kid, I remember making them a lot with my mom and brother. But then I went through a years-long phase where I didn’t want to make anything that required dunking. I’m becoming a pro at candy-dunking these days, but it was a battle for a long time. 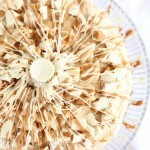 For example, my Grandpa loved buttercream candies. We would make them homemade for him, usually for Easter and Christmas, but they were an absolute bear to dunk. Even if frozen solid, those suckers would soften up so quickly. They would break and fall apart, or fall off the skewer, melting into the chocolate. I have candy-dunking down to a much better science these days, thanks to much practice. I systematically dunked a whole batch of these White Chocolate Buckeyes in about 10 minutes. Not bad. 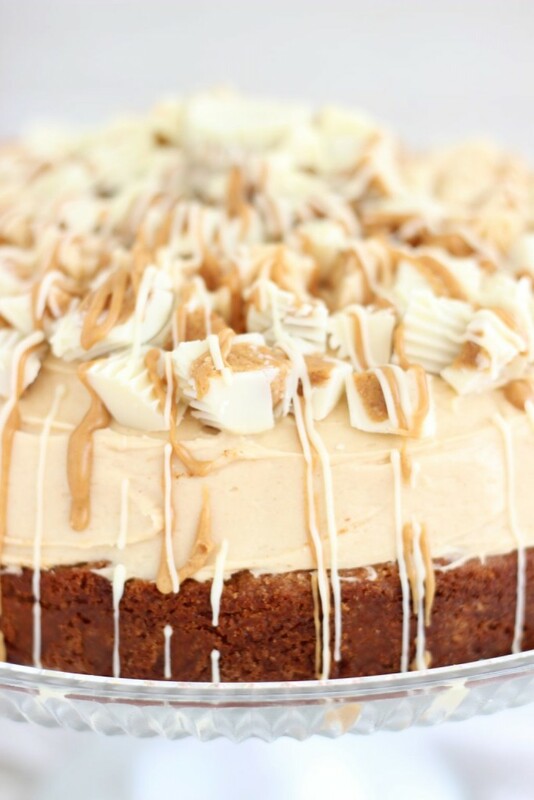 Chocolate and peanut butter are one of the best partnerships, and Buckeyes are the most classic example of that. Creamy peanut butter, paired with butter and powdered sugar, dunked in a bath of silky chocolate. How can they be improved upon? Arguably, they can’t. 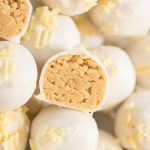 Try these White Chocolate Buckeyes before you decide! 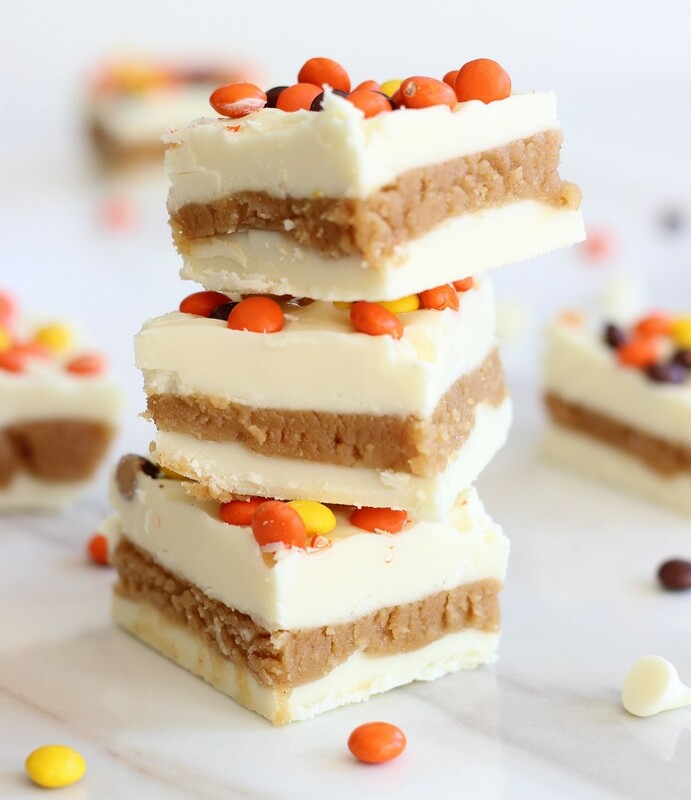 I’ve made it amply known that I’m firmly in the camp of people that feels that white chocolate and peanut butter are just as amazing, if not better, than chocolate and peanut butter together. 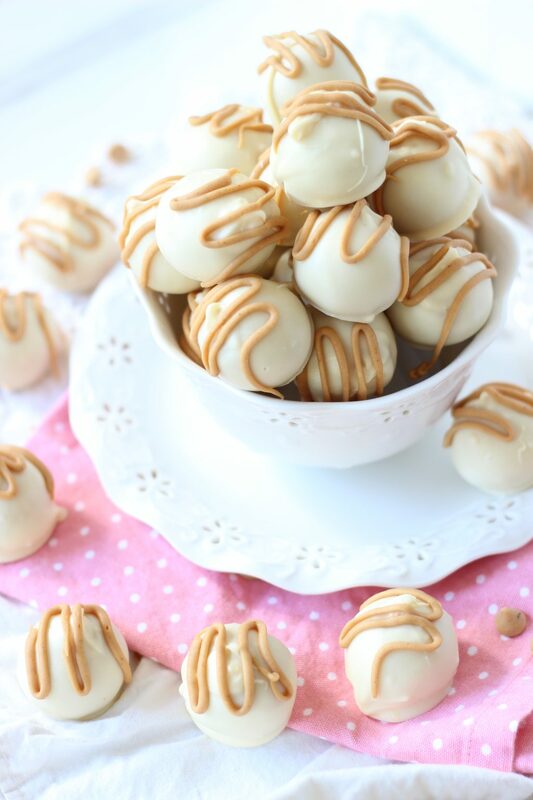 Next time you are making Buckeyes, for a new spin on the classic, try these White Chocolate Buckeyes. Update March 2019: I made Potato Chip White Chocolate Buckeyes!!! Crunchy pieces of salty chips are such a welcome bit of taste and texture! 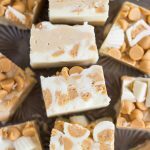 You may also like these white chocolate & peanut butter treats! How long can these be stored in the fridge? Id like to make them for a party (dipped in candy melts that are in the color scheme) but I have a million things to make in the days before. Hi Michelle! At least a week in the fridge – there is nothing in them that goes ‘bad.’ You could easily make them ahead and freeze them too! I hope you enjoy! Hi Penny! Nope, it wouldn’t. You could absolutely use crunchy, if you prefer that! You may end up adjusting the powdered sugar a little, but it shouldn’t make much difference at all. Let me know if you try them, and I hope you love them!! Use of stick butter is recommended, then you should be able to refrigerate 15-20 min. Then dip normally, no freezing required. Sorry, let me specify.remove stick about 5 mins. before preparation. Add ingredients to bowl(butter should still be cold) mix by hand(recommended). If butter isn’t enough consistency will not be right for just refrigeration. Been making buckeye for the last seven year with every type of chocolate known to man a have never had to freeze my peanut butter. I can make about 200 hundred buckeyes in about 3 hrs.Kids of at least 10 yrs. old can do the mixing for you, my nieces help me every year a week before Christmas. These are great tips! Thank you so much! 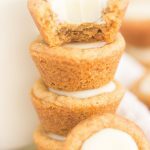 I haven’t made Buckeyes since Christmas, but I will definitely try some of these ideas over the holidays. Thank you, David! That’s super helpful. 🙂 And 200 Buckeyes in 3 hours is damn impressive. Have you thought about selling them? Haha! Do you freeze your buckeyes a week before Christmas? Or leave at room temperature? Sorry but these cannot be called buckeyes because you completely covered them with the white chocolate. 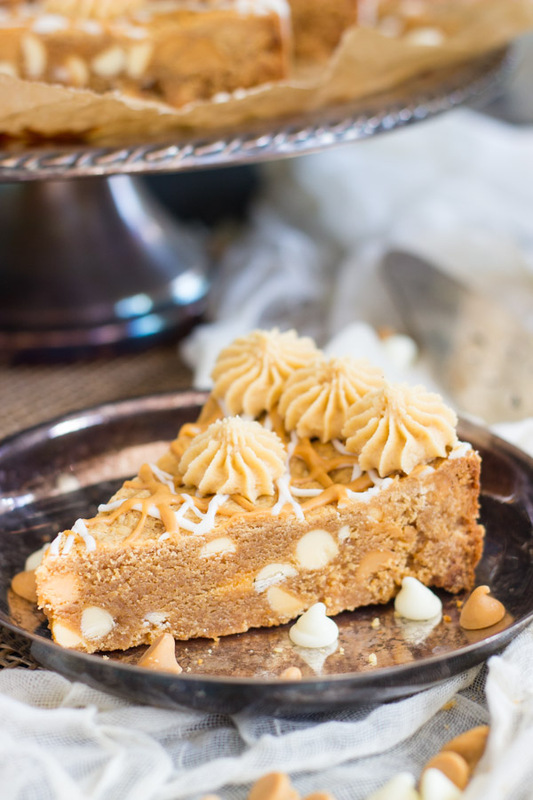 What you have made is a white chocolate peanut butter ball. 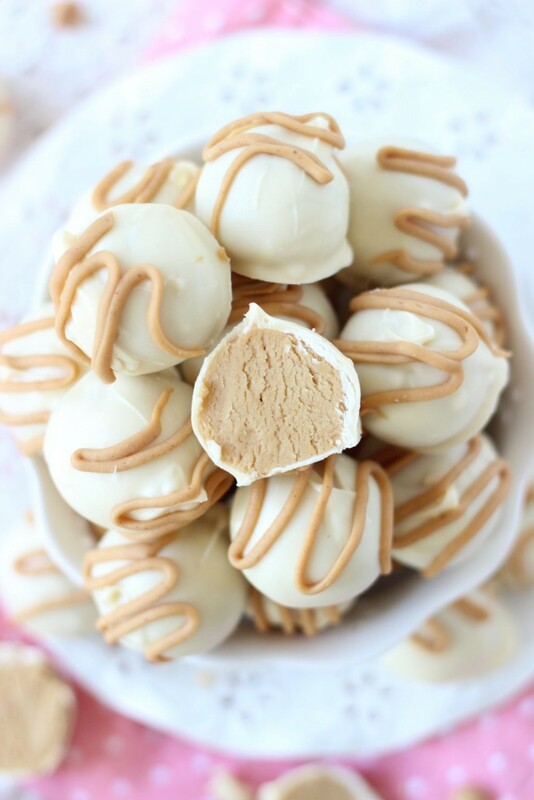 If you had dipped them like a traditional buckeye and left some of the peanut butter exposed, then you could call them white chocolate buckeyes. How funny… that’s an interesting technicality. Well, I did manage to call them ‘White Chocolate Buckeyes’ anyway, and that’s what they are to me! I grew up in Ohio, we made Buckeyes all my life, and in my family, we dunked them all the way around in chocolate. 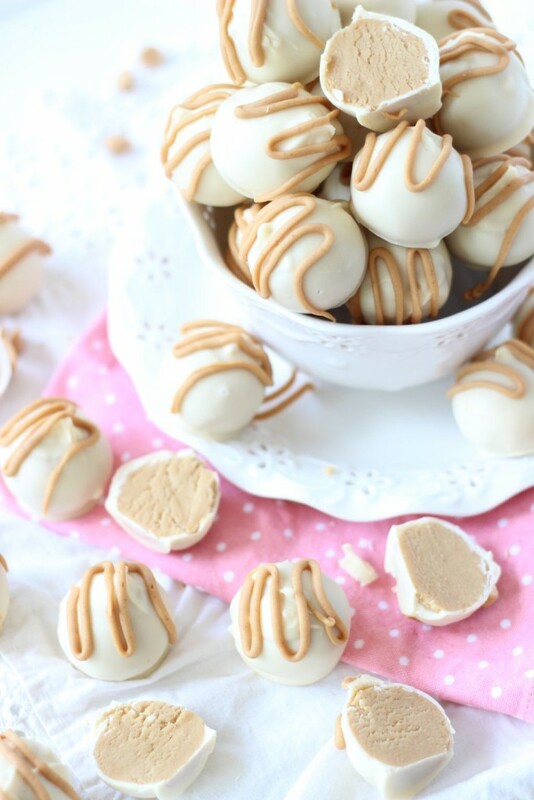 🙂 In any event, I hope you try your own version of White Chocolate Buckeyes sometime! Happy holidays! OMG you being from Ohio makes it even worse to cover these and the chocolate ones completely and try to call them buckeyes. I have lived in Ohio all my life so buckeyes are very near and dear to me. Now if you said you grew up in say Michigan, I would give you a pass but not with you being from Ohio. Just how many can I expect to get from this one recipe?